Underlying its strong commitment to regional business, the Genie team has employed a full-time technician to service its customers and machines operating in Western Australia’s vast Pilbara mining region. The new technician, Rheece Mengler, who has substantial rental industry experience, is now based at Karratha, enabling him to service neighbouring towns such as Dampier, Wickham, Roebourne and Port Hedland. The appointment of Rheece has been wellreceived by customers of Genie. 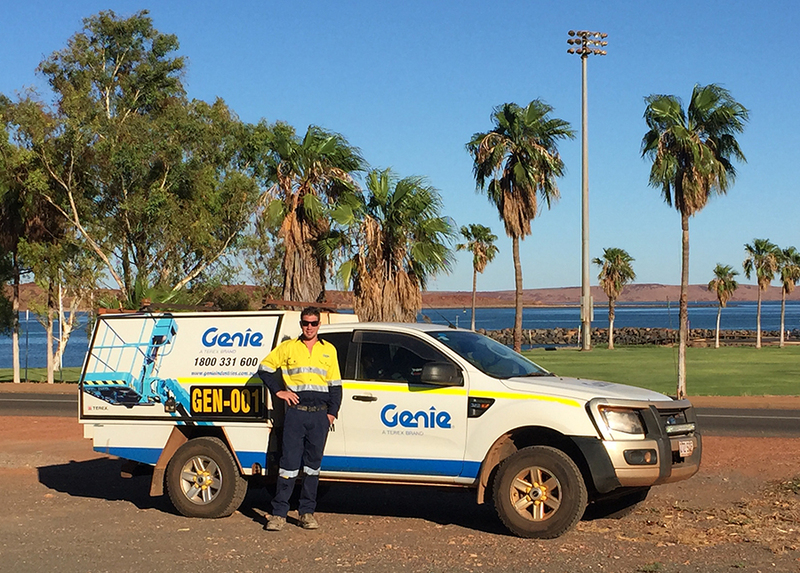 “Putting Rheece in place is a great show of support by Genie not only for their products but also as a sign of their support for us,” said Alan Harris, Service Manager - Karratha/North West, Access Hire. “Genie has a strong commitment to regional Australia, while we also recognised that every region, whether it’s the Pilbara in the west, or northern Australia have their own unique characteristics, and by appointing dedicated technicians, we can deliver a more consistent customer experience.